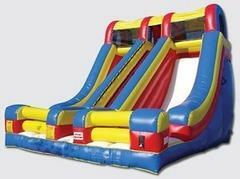 Inflatable Slides are great fun and the perfect way to add a healthy activity to your event or party. The slides prices listed here are "Dry" slide prices. 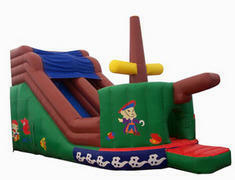 However many of these rental slides are available as wet units, and will be indicated as such on their checkout pages. 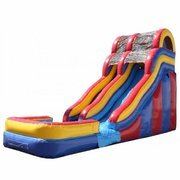 For more Wet Slide options see our Water Units category. Click on the images or titles for more informationBrowse the selections below and click on the image or "More Info" link to get additional information and to make a reservation.